With today being World Blood Donor Day, I thought what better way to gather info for my blog than to immerse myself in the experience, and register to donate on the day. So I duly pre-registered, filled in some forms, and my booking for this morning was made. Arriving at the blood bank, more forms had to be filled in, and having never donated blood in New Zealand before, I was quite surprised at some of the rules for eligibility to become a blood donor. Most of the limitations (never give blood if you or your sexual partner(s) are HIV+, if you carry the Hepatitis B or C virus, if you’re on drugs, etc) seemed pretty sensible, as were the limitations placed on sexually promiscuous individuals. The geographic limitations, however, were more of an eye-opener, and this is where my good intentions sadly got derailed. It turns out that anyone who had previously lived in a region considered to be high-risk for HIV infection, were excluded from donating for 5 years. Excluded regions include the entire sub-Saharan Africa, large parts of Asia, as well as specific South American regions. This exclusion is irrespective of sexual history, previous HIV test results, or any other ‘proof’ of not being HIV+. So, given my South African heritage I was greeted with a friendly but firm “No thank you”, putting a premature end to my intentions of becoming a blood donor in my adopted country. I can appreciate the logic of geographic exclusion, but cannot help finding it sad that, despite being married and faithful to my wife for many years, and having ‘passed’ a number of insurance and emigration-related HIV tests in the past, I am still considered to be a higher risk than someone earning a living as a prostitute in New Zealand (who only has to wait 1 year before being accepted as a donor). 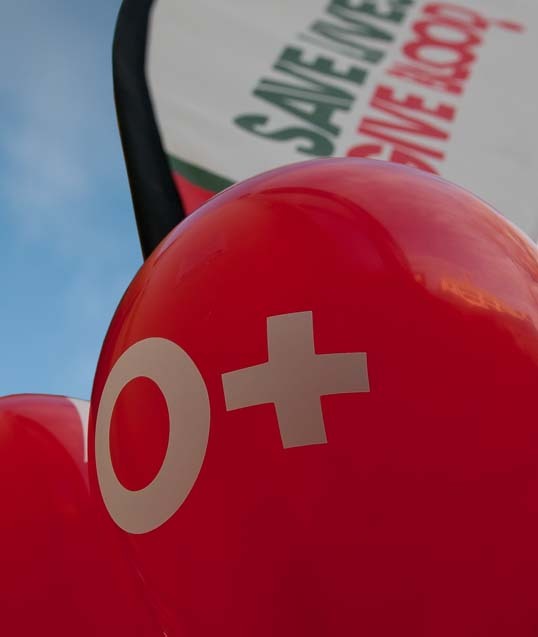 What makes this experience more ironic, is that the international launch of World Blood Donor Day took place on 14 June 2004 in Johannesburg, South Africa. You can become a life-saving superhero, irrespective of your blood type. When “donating blood”, you can actually donate a number of different transfusable blood products – red blood cells, platelets, or plasma. When donating a pint of “whole blood”, two to three of the above products can be produced from the donation, hence a single whole blood donation can save the lives of up to three people. If you donate only specific blood components – red cells, plasma or platelets – the process is called apheresis. A single apheresis donation can produce one transfusable dose of platelets. Of the blood products that can be donated, only plasma has a reasonably long shelf life – it can be frozen for up to two years and blood products made from plasma (e.g. cryoprecipitate) can be stored for up to two years. Red blood cells must be transfused within 35 days from collection, while platelets have an even shorter shelf life – it has to be transfused within 5 days. As a result of this, there is a continuous need for fresh blood. Healthy bone marrow is continuously working to produce new red blood cells, platelets and plasma in the body. Blood lost during a donation is replenished by the body over time – the fluids of the donated blood is replaced in just 24 hours. The red blood cells take a bit longer, and will be replaced within about 8 weeks. Typically a healthy donor can donate every three months. In New Zealand, the treatment of cancer requires the biggest percentage of all donated blood products (22%), while blood needed to treat accident victims make up 18%. Mothers and babies receive about 7% of the blood supply. The bottom line is that blood is always desperately needed, and it really is one of the easier ways of doing something truly amazing for your fellow man.